Why did the Irish famine ship Jeanie Johnston succeed when so many others failed? More than a million people fled Ireland in the wake of the potato famine of the mid-nineteenth century. And more than a hundred thousand died while en route to the United States and British North America, which explains why the vessels that carried the refugees became known as “coffin ships.” Yet the Jeanie Johnston was unique among Irish famine ships in that it never lost a passenger. In the following Failure Interview, Kathryn Miles, author of “All Standing: The Remarkable Story of the Jeanie Johnston, the Legendary Irish Famine Ship” (Free Press), explains what set the Jeanie Johnston apart from the coffin ships of the era, and how it achieved its envious track record. And though the original Jeanie Johnston sank in 1858 (after being converted to a cargo hauler), the ship lives on in the form of a replica Irish famine ship, which currently serves as a floating museum — the Jeanie Johnston Tall Ship & Famine Museum. Tell me about the potato famine of the mid-nineteenth century. It was not the first potato famine but it was the most significant. As far as scholars can tell, it began in the United States when [the fungus-like pathogen Phytophthora infestans] was brought to America from South America in bird guano, which was being used as fertilizer. If you look at the records from the early- to mid-1840s you see stories of catastrophic potato failures throughout America, with Pennsylvania and Maine hardest hit. From there it moved across the Atlantic and there were enormous potato failures across Europe. In places like Austria-Hungary and parts of France it was catastrophic in the sense that peasants — like the peasants in Ireland — relied almost exclusively on the potato. But in those places there was swift and aggressive government action. That prevented the starvation losses seen in Ireland, where you had people subsisting entirely on potatoes and a laissez-faire government that didn’t provide much in the way of aid. How did the British government respond to the famine in Ireland? It was a controversial issue. Up until that time the British government had done a lot to support its colonies through protective tariffs and subsidies. And when the famine hit Prime Minister Robert Peel attempted to do some aid work, importing corn at government expense. He created warehouses and soup kitchens but it ultimately cost him his job. He was voted out and replaced by a government that was very driven by British sentiment, which was: We’ve already done too much to support Ireland. It’s not our responsibility. This is nature taking its course and we should let nature cull the Irish population. To what degree do you think the British government was complicit in the suffering experienced by the Irish people? That is such a hard question. My personal opinion is that more should have — and could have — been done. I think that from a humanitarian perspective that is the only defendable, ethical position to have. 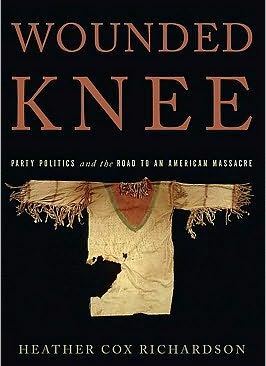 The more research I do and the more I see how complicated the issue was politically I can see why some politicians took the stance that they took. If you want to read them charitably — and for some people I know it is very hard to do — you can make a case that they honestly believed that things would be best handled as a localized initiative rather than from London. 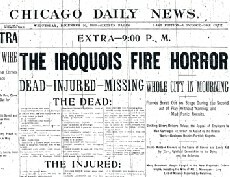 But there was no oversight to make sure that happened and the [local] communities were woefully unprepared to take on the problem. So the Irish people left aboard coffin ships. What were coffin ships? There were approximately five thousand of these ships and almost all were timber ships, which were used in what was ultimately a triangle trade that was very similar to the triangle slave trade of the previous generation. They would run a haul from British North America [Canada] or New England down to the Caribbean, and from there molasses and rum was taken to England. Then there was this empty leg where the ships were going back to Canada and New England. Prior to the famine, ship captains and crew would have to load stone and sand ballast onto the ships [so they would be stable enough to cross the North Atlantic]. In fact, there are buildings in Quebec and Montreal that were built out of stone that came from England and Ireland as ballast. This was very inconvenient for the ship’s crew and owners; it was not cost-effective and very labor intensive. So when the famine hit transporting refugees seemed like the solution to multiple problems. Instead of stone ballast that had to be loaded, there was human ballast, willing to pay. They could load themselves onto the ship and load themselves off when they landed in North America. As far as the British government was concerned it was great news because it believed that Ireland was overpopulated and that subsistence farming was incredibly ineffective. It wanted to convert [Ireland] to industrial agriculture. The British government also wanted to populate Canada — for two reasons. One is that they were worried that America might be encroaching on Canada. They were also concerned about having enough food to feed the English people. The government wanted to clear land [in Ireland] and grow grain that could be imported to England. But these mostly decades-old ships were not set up to carry passengers. And unlike the slave ships of the previous generation the captains and owners were paid by the Irish people when they stepped aboard. What happened to them afterwards was of no concern. On the slave ships, captains were paid based on the number of living slaves that walked off the ship when they got to America. For some unscrupulous captains there was no incentive whatsoever to keep passengers alive. So between the deplorable conditions and people already weakened by starvation, you saw mortality rates as high as seventy-five percent. What were the conditions like on a typical coffin ship? These old timber haulers were flat bottomed ships with very low hulls. So there was not enough room to stand up and walk around. In most cases crews would be ordered to build platforms that were six feet square. And they would be stacked three high. Each platform would be the only space allotted to, say, a family of four or five. If you came aboard and were not part of a family you would be paired up with total strangers. There were usually two pails that would serve as the onboard privies. If you were lucky you were allowed up on deck to empty them out. But there are really gruesome descriptions of some of the ships rolling into port and people being knee deep in human waste. On some ships passengers would be shut in — locked in — in the dark and not let up for days on end. There are accounts of everyone on board suffocating because they were locked in with no air. Let’s talk about the Jeanie Johnston. The ship was built by one of my favorite characters in the book — an incredibly benevolent and very successful ship owner named John Munn. He was an immigrant himself. His family had come over from Scotland and had become one of North America’s most successful shipwrights — both in terms of tonnage and number of ships sold. Unlike the other successful shipwrights in Quebec he lived the life of a monk. He rarely went out, he rarely socialized, and he tended to take all of his profits and put them back into his employees or into philanthropic contributions. And just after the famine started his shipyard and the shipyards around it burned in this catastrophic fire. A lot of people thought it was going to put him out of business. He slowly worked his way back, but saw he didn’t have enough business to keep all his employees working. He also saw this influx of Irish immigrants who didn’t have work, and so he staked what was left of his fortune on building a ship at his own expense — the Jeanie Johnston. It had a huge advantage in that it was brand-new. It also had an advantage in that Munn was an incredibly fastidious builder. So it received the highest Lloyds of London certification in terms of seaworthiness. There was also more room below deck than you would expect on a barque. A grown man could stand upright, which to me suggests Munn knew it was going to be a coffin ship. The Jeanie Johnston managed to keep all its passengers alive during its eleven trips to North America. How? Part of it was the seaworthiness of the ship. Many of the other coffin ships were so shoddily built, or so tired and neglected, that they would hit a storm or high seas and the ship would disintegrate in the middle of the ocean. The other thing working in the ship’s favor was that the men associated with the ship wanted it to succeed, though for very different reasons. The ship’s owner was enterprising. If you want to be critical you’d say he was an opportunist. He wanted very much to become this incredibly successful self-made mover and shaker in Ireland. And he saw in the ship a way to promote himself. He saw that the more people he kept alive and the more successful the ship was the more he could charge and the more he would become a force to be reckoned with. So his motives weren’t pure but they helped tremendously in terms of financing. 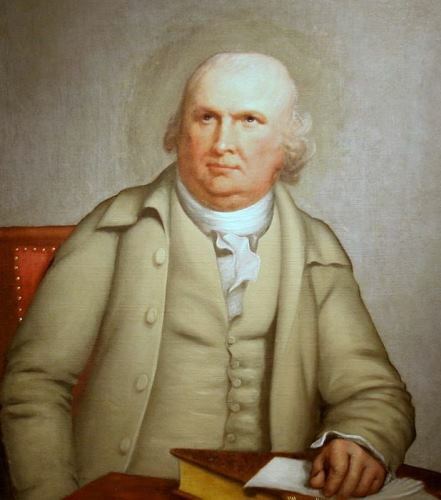 He hired an incredibly benevolent and honor-bound captain, James Attridge, who was known far and wide for his strict adherence to maritime law and for his incredible altruism. He insisted on order and regulation. A lot of captains would shirk the requirement to have food on board for the immigrants. But he not only insisted that it was there, he insisted that it was of a quality that would be edible for the whole trip, which was not true on most coffin ships. Finally, one of the most fascinating characters was the ship’s doctor, Richard Blennerhassett, who was a fringe figure in the medical world because he refused to accept the notion that fresh air brought about disease. Instead he subscribed to ideas about contagions and quarantine, and what we now know was very good thinking about issues like typhus and cholera. He was one of the first doctors who insisted upon a quarantine area and hospital onboard. Most of the coffin ships didn’t even require a doctor onboard. How did the Jeanie Johnston meet its end? It sank. After the famine it was retired as a passenger ship and converted to a cargo hauler. It encountered a deadly hurricane in the North Atlantic [which split apart the hull and caused the ship to take on water]. 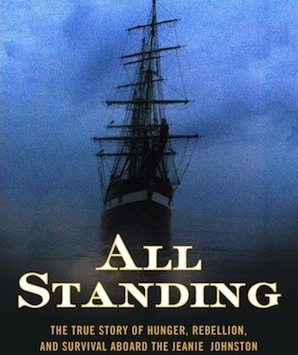 To survive the crew had to climb a hundred feet into the rigging [as the ship went lower and lower into the water]. They lashed themselves to the spars and hung there for over a week with only the food they had in their pockets. They were eventually rescued by another ship, the Sophia Elizabeth. Just as they were rescued the Jeanie Johnston slipped below the waves. What’s so great about this is that even though the ship sank it managed — even in its last moments — to preserve its miraculous record of keeping people alive. 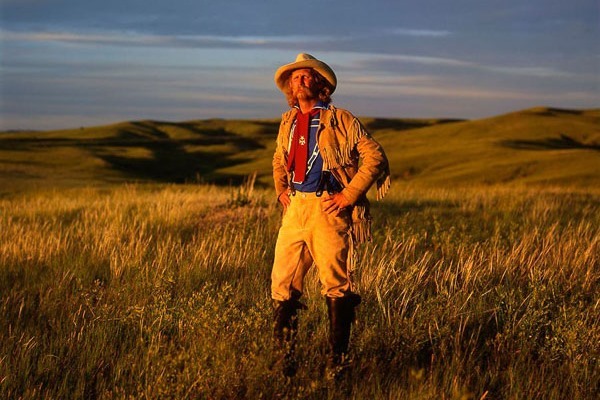 Being Custer—Steve Alexander as George Armstrong Custer.